Today we received another note from Titch The Witch. She asked us what our favourite things about Halloween are. We decided that the best way to show Titch is using a chart. 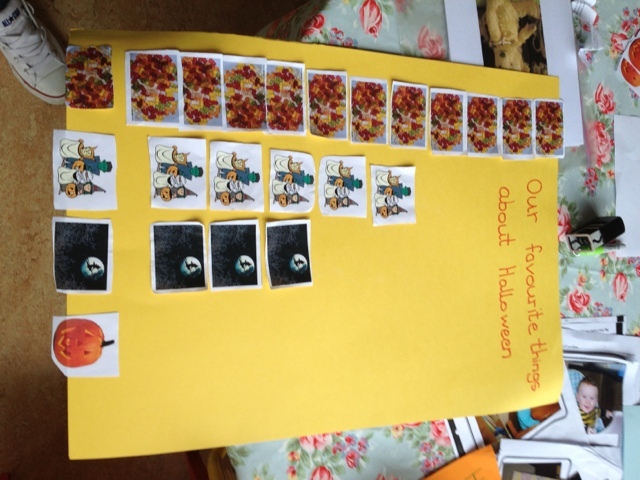 From the chart we can clearly see the most favourite thing is all the sweets collected on Halloween night.